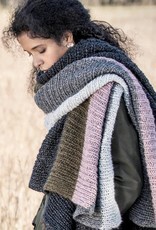 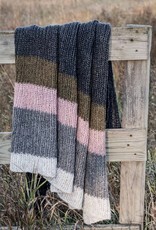 Blue Sky Fibers Tamarack Blanket Scarf Pattern - Woolly&Co. 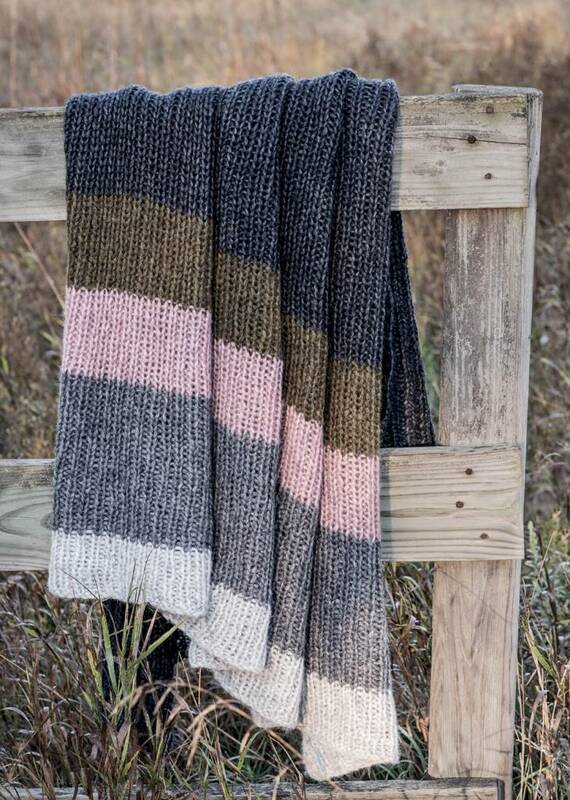 The Tamarack Blanket Scarf is a simple rib that lets the yarn and colors do all the work. 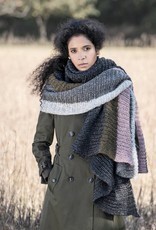 Knit with Techno, this yarn blooms when blocked. 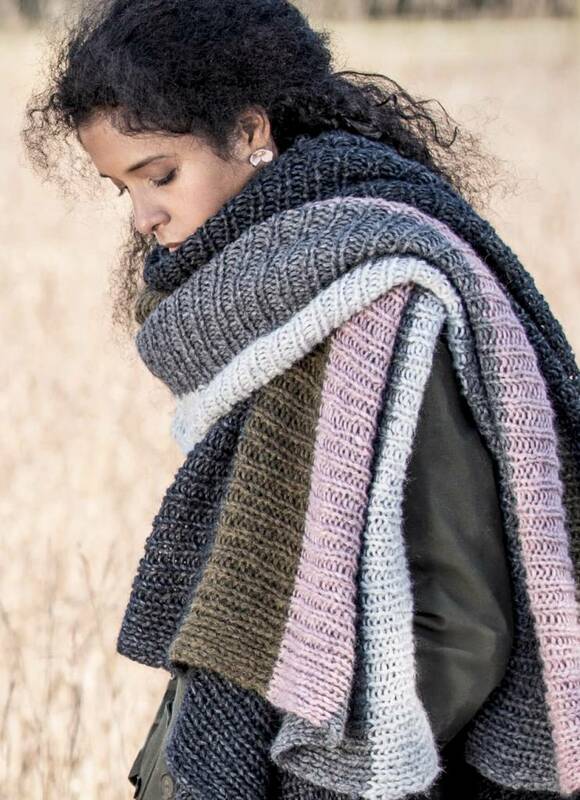 The beauty is in the five colors selected for this wonderful piece that can be worn as a generous scarf or used as a blanket.